Charlotte Perriand (1903-1999) was born in Paris and studied at the École de L’Union Centrale des Arts Décoratifs. In 1927, she received wide praise for her presentation at the Salon d’Automne, which featured her Bar sous le toit, a bar made from polished aluminum and glass shelves. Le Corbusier was impressed with the project and hired Perriand to lead the design of all the interiors and furnishings for his projects. 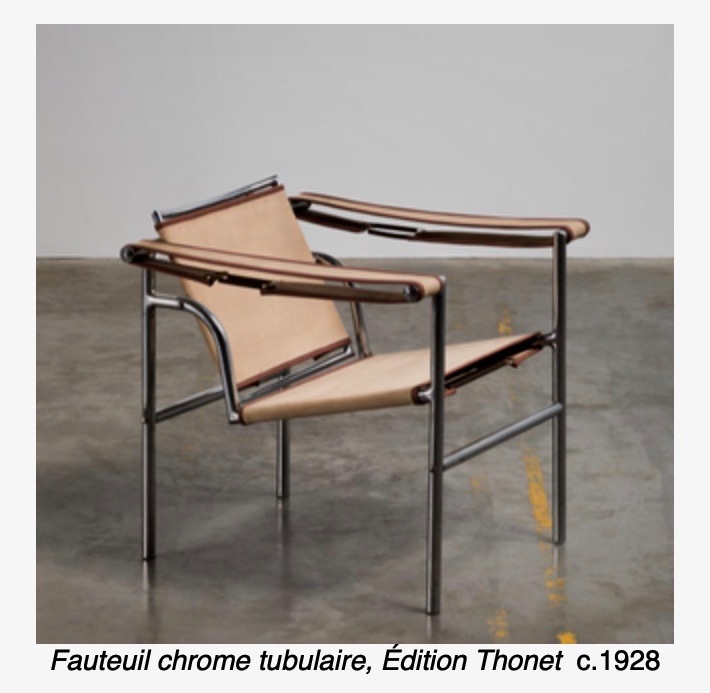 A highlight of the exhibition is one of Perriand’s earliest works made in collaboration with Le Corbusier and Pierre Jeanneret, Fauteuil chrome tubulaire, Édition Thonet (c.1928), a decisively modern chair that helped to forge a modern, machine aesthetic. 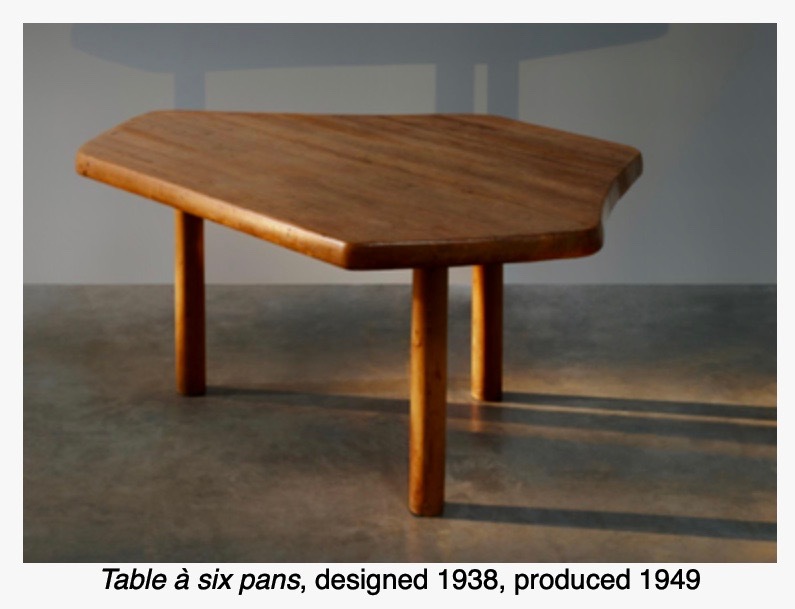 At the Atelier Le Corbusier, Perriand designed a collection of furniture and standardized architectural elements meant for mass production, using tubular steel leather cushions, and other materials that were then rarely used in domestic settings. She produced objects that took note of the human body and its standard movements, making chairs and tables that emphasized their function and simplicity, while maintaining striking sculptural silhouettes. In line with Corbusier’s philosophy of design, Perriand worked under the belief that intelligent and beautiful design would lead to a better life. In 1940, Perriand moved to Japan at the invitation of the Japanese government, where she served as a cultural advisor on industrial arts. 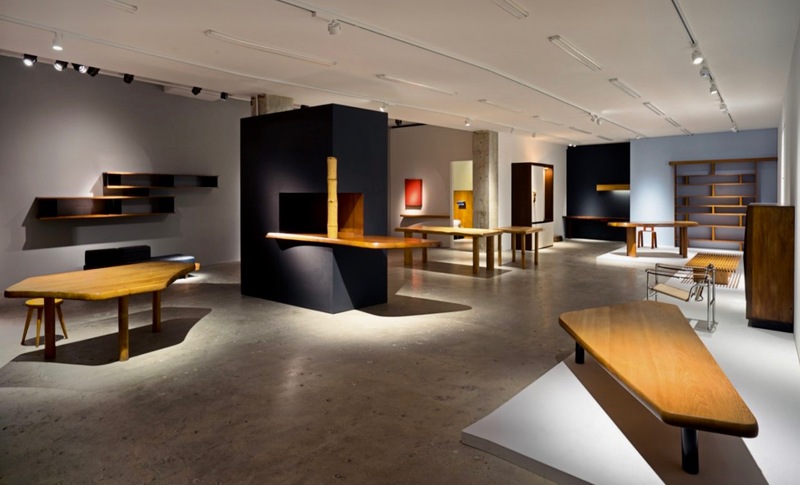 Her stay represented the first of two extended periods that she would spend in Japan, both of which had a profound impact on her design philosophy. She became increasingly interested in exploring form in nature, and began working with materials beyond the steel and leather for which she had become known. 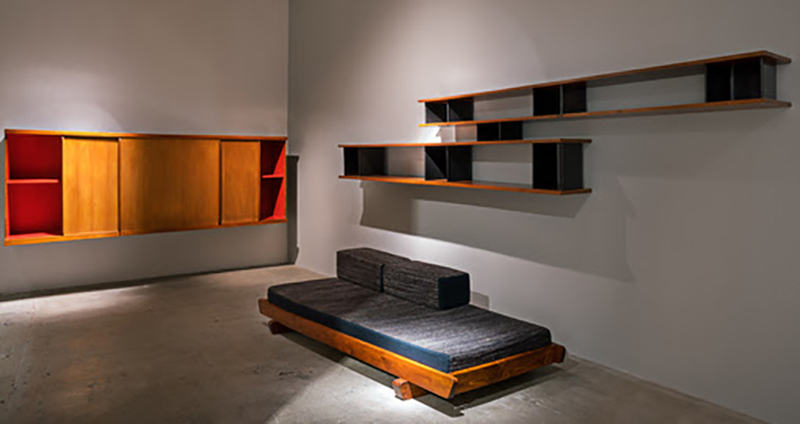 In Japan, Perriand reinterpreted many of her iconic designs from the Corbusier years in bamboo and other Japanese woods. 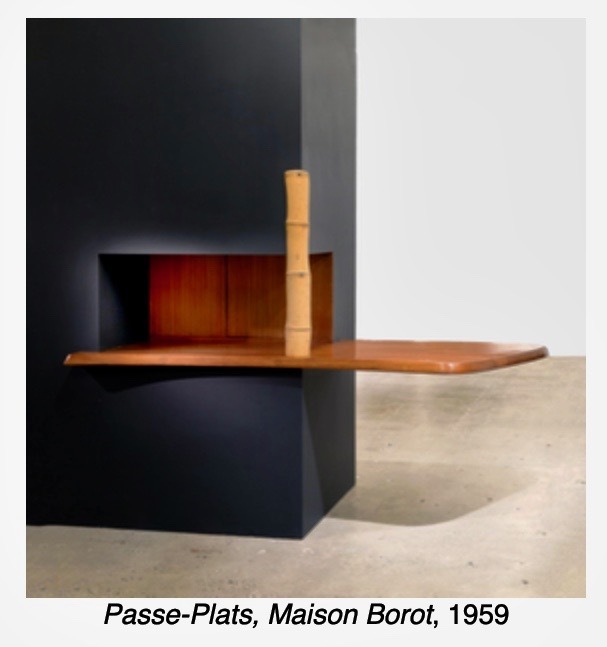 This influence of her time in Japan is evident in Passe-Plats, Maison Borot (1959), a serving hatch that combines mahogany countertop with and bamboo detailing. This was part of her renovation and refurbishment of Jean and Huguette Borot’s home in Montmarte, a project she started in 1951 and which took fifteen years to complete. 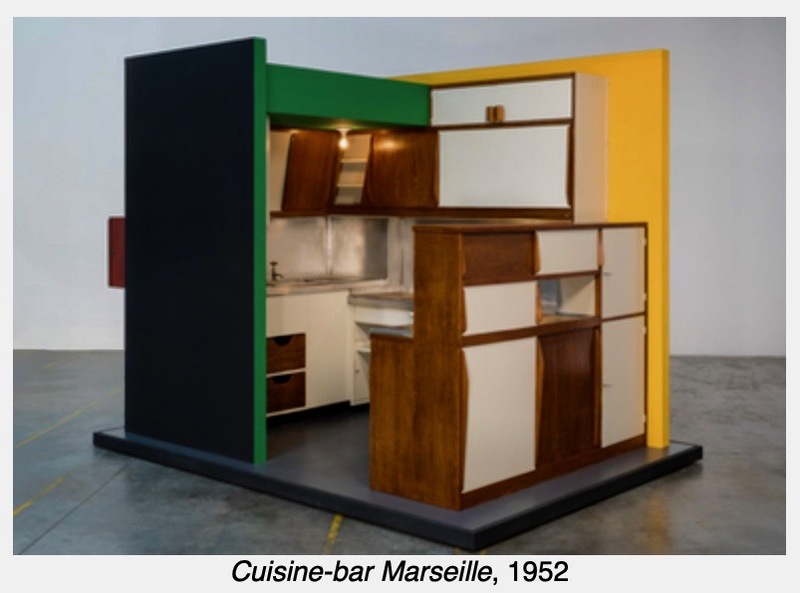 One of the most striking features of the exhibition is Cuisine-bar Marseille (1952), a kitchen Perriand designed for Le Corbusier’s Unité d’Habitation in Marseille. She chose to position the kitchen at the center of the living space, an idea that, while familiar today, was very unusual at the time. The emphasis here was on transparency and integration, with an openness that encouraged those in the kitchen to participate in activities throughout the house, instead of remaining isolated. 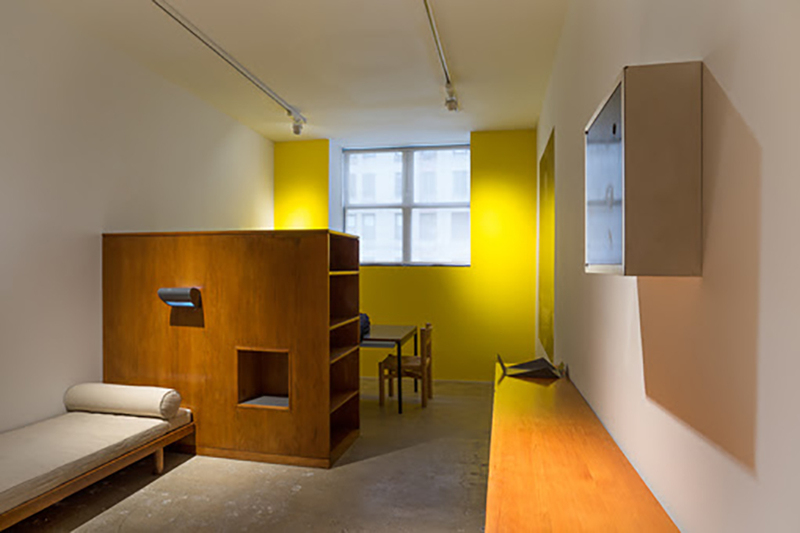 Also on view in the exhibition is a separate room furnished with pieces Perriand designed for student accommodations at the Maison du Brésil in 1959, in collaboration with Le Corbusier, including a bed, desk and armoire. 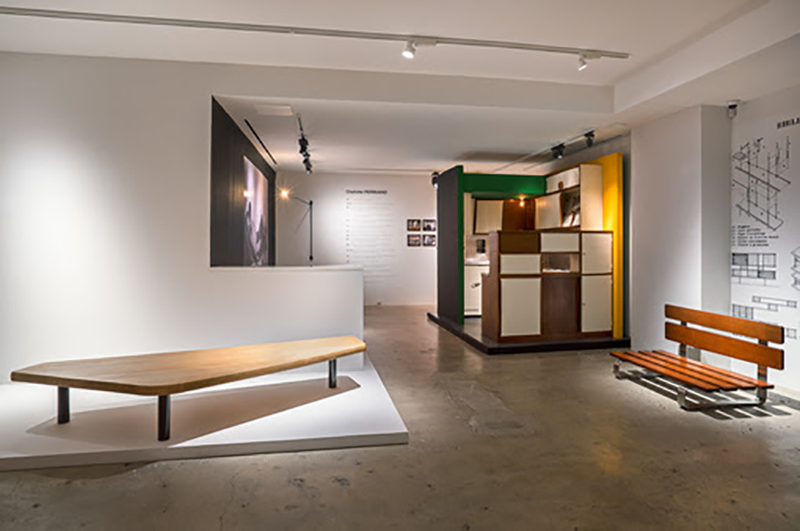 These displays offer incredible insight into the holistic approach of Perriand’s design philosophy, showcasing the comprehensive nature of her pioneering modernism, a vision forged by one of the few women to achieve such stellar art historical success. 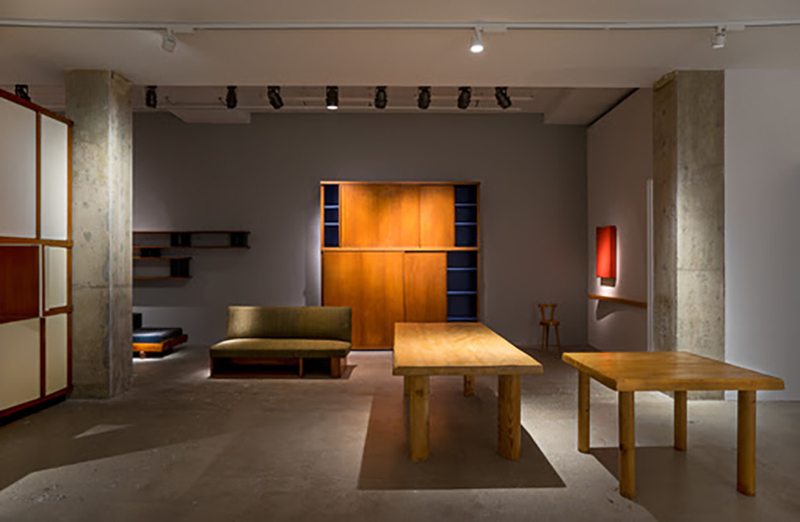 The exhibition Charlotte Perriand is in collaboration with Laffanour/Galerie Downtown, Paris and will be on view through January 15, 2019 at Venus Over Manhattan, 980 Madison Avenue, 3rd floor, NYC.